Publisher: Grant Richards. Country: United Kingdom. Date:1897-1912. - L. C. Page & Co., Boston. Certain titles were also published in Italy by: Libreria S. Rosen, Venice. London, Grant Richards, 1902 (Grant Allen's Historical Guides). Hardback in green ribbed cloth binding. Upper board and backstrip blocked and lettered in gilt. Radial corners (i.e. rounded corners of outside edges of covers and pages). 230 pages. Maps. Size: Octavo. Series Note: Full Series Name: "Grant Allen's historical guide books to the principal cities of Europe treating concisely and thoroughly of the principal historic and artistic points of interest therein". Published by Grant Richards, 9 Henrietta Street, Covent Garden, London. Grant Allen (1848-99) as a Canadian science writer and novelist. Read his biography on Wikipedia here. Christian Rome by J. W. and A. M. Cruickshank. 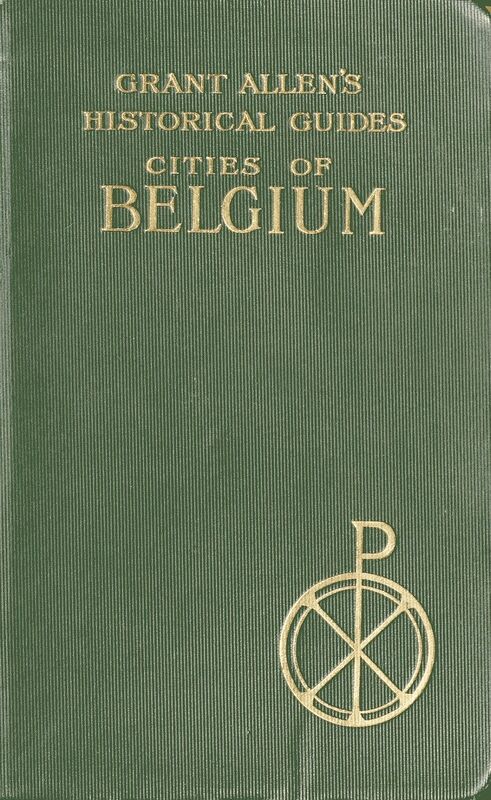 The Cities of Belgium by Grant Allen. The Cities of Northern Italy by George C. Williamson, Litt.D. Classical Rome by H. Stuart Jones. The Smaller Tuscan Towns by J. W. and A. M. Cruickshank. The Umbrian Towns by J. W. and A. M. Cruickshank. The Cities of Northern France (Rouen, Amiens, Blois, Tours, Orleans).